Hi friends! I hope you are doing well! We are pretty good! It's been a really busy day here and I'm just getting around to blogging. Better late than never, I say! Happy Halloween! I hope you had an AWESOME day! We did a bunch of activities today! Brady said it was the best Halloween EVER! 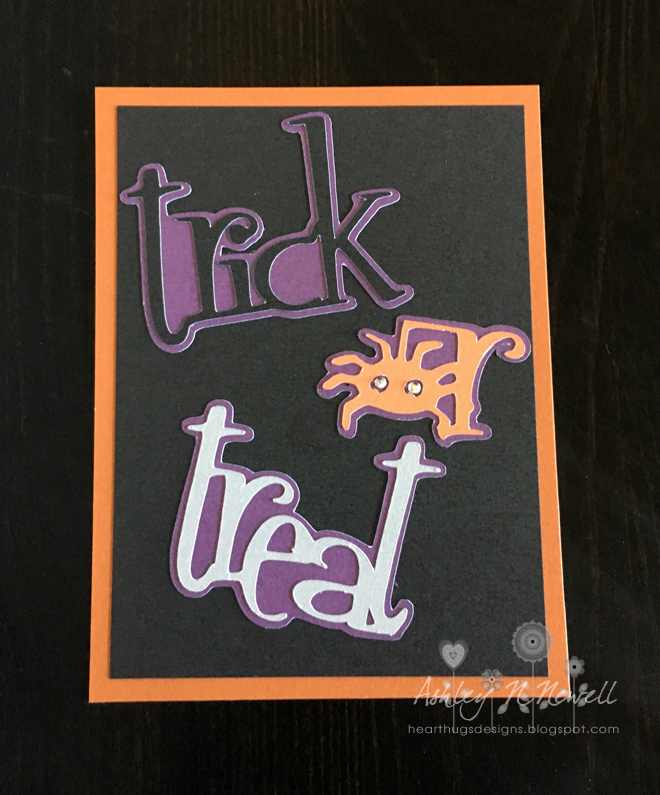 Today, I wanted to share a couple crafts I made for Halloween. The first is a ribbon banner I made. I was at a crop and a gal was talking about how easy it was to make these banners and after the parties she hosted she would sell these banners for $30 each! She, however, made her banners with fabric so I think it might be a lot easier and it would take less knotting because you can cut the fabric thicker. I looked at the project she was making and thought "well, I have TONS of Halloween ribbon and I can make that." Oh boy! This baby took me almost 4 hours of sorting ribbon, cutting, hunting for different kinds of ribbon, and knotting. I had set out to make it 6-8 feet long so it could go on a table for a Halloween event we were going to and I stopped around 4 feet. I literally could not do it anymore because my hands were so fatigued. I also thought about trimming some of the ribbons but I kind of liked the special pumpkin ribbon sticking out from the bottom of the banner. I also wanted to share this Pocket Scrapbooking filler card that I made at my friend Rachel's crop. Rachel had these as a make and take but I wanted to change it into a 3x4 card so I could use it in my scrapbook. (I don't send out Halloween cards and didn't want this to go to waste.) Rachel used her Close to My Heart cardstock and cut the words for us. We also used the super cute tiny Close to My Heart Bitty Sparkles which are the tiniest little rhinestones I've ever seen and they are self adhesive. I have already put this in my album waiting for pictures from today! Have a great day, friends! I hope you had a safe and HAPPY Halloween! 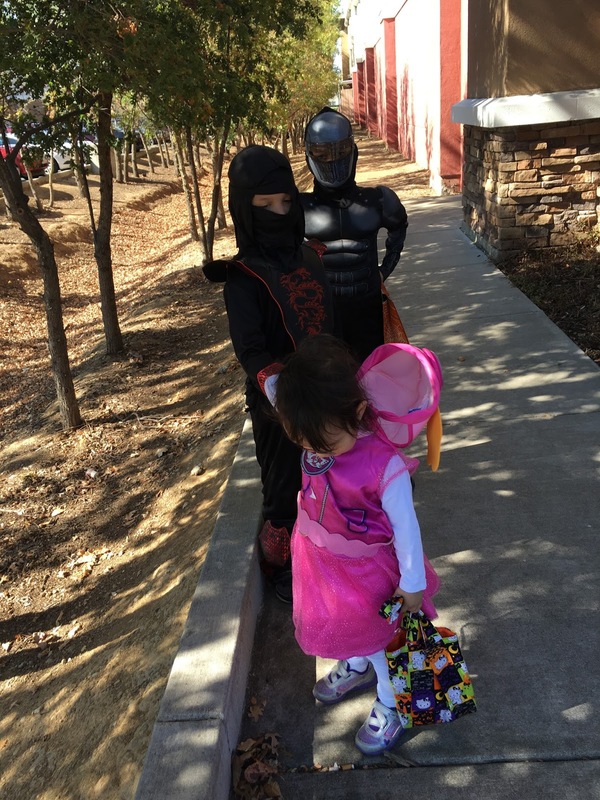 Hooray for a good Halloween! That banner may have been a lot of work, but it looks fantastic! Great CAS card too!